WASHINGTON, DC, September 22, 2014 (ENS) – China, the world’s biggest greenhouse gas emitter, is planning to put a price on carbon emissions to control climate change – along with many others. China joins a list of 73 countries, 22 states, provinces and cities, and more than 1,000 businesses and investors who today signaled their support for carbon pricing ahead of the UN Climate Leadership Summit on Tuesday. Climate change is a risk that cannot be ignored, the government and business leaders said. They want the world to know they are ready to work together to bring down emissions by putting a price on emissions of carbon dioxide, the most prevalent greenhouse gas. The entities on the carbon pricing list compiled by the World Bank are together responsible for 54 percent of global greenhouse gas emissions and 52 percent of the world’s Gross Domestic Product. The list includes countries like South Africa that are planning carbon pricing, as well as Russia and countries at high risk from climate change, like the Marshall Islands. China has begun testing carbon pricing, with seven local pilot carbon markets that are helping the government plan for a national carbon trading system. It includes business ranging across industry, energy and transportation, and institutional investors with more than $24 trillion in assets. To move the carbon pricing effort forward, the World Bank Group, World Economic Forum, and We Mean Business Coalition will convene a carbon pricing leadership coalition with business and government leaders. These groups have each spoken in favor of climate action but have rarely worked together to address climate change. “This is a wake-up moment. Carbon pricing if expanded to this scale and then globally has the potential to bring down emissions in a way that supports clean energy and low-carbon growth while giving businesses the flexibility to innovate and find the most efficient choices,” the World Bank said today in a statement. In the private sector, there is a wide belief among business leaders that carbon will be priced, and preparations are already underway in several companies. More than 150 large businesses are using internal carbon pricing in their decision-making, and more than 600 large companies see regulations creating new business opportunities, according to CDP’s latest corporate survey, said the World Bank. Business and government leaders have aligned themselves with the Put a Price on Carbon Statement. Other business leaders and investors added their public support for carbon pricing by signing the Carbon Price Communiqué, the Caring for Climate Initiative, and the 2014 Global Investor Statement on Climate Change. Unilever, which produces food and consumer goods, knows the risks that extreme weather can create for supply chains, particularly for water security and agriculture. “Many of the impacts of our operations fall outside our direct control so we need to engage governments to create an environment that is supportive to meeting the big sustainability challenges the world faces,” the company wrote when it joined the Put a Price on Carbon statement. Government leaders such as Vietnam’s Prime Minister Nguyen Tan Dung want to drive low-carbon growth. Vietnam’s coastal communities and low-lying farms are among those already dealing with the damage of rising sea levels and ocean acidification. A price on carbon would help catalyze green investment and could drive energy efficiency and low-carbon measures that could generate billions in economic savings, said the Prime Minister. Quebec started with a tax on fossil fuels and a goal to reduce emissions by 20 percent below 1990 levels by 2020. 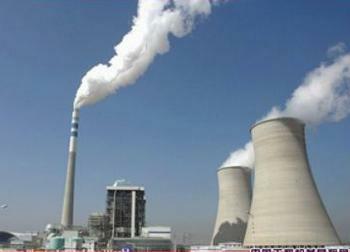 It launched a carbon trading system in 2012 that is now linked with California’s. Couillard and California Governor Jerry Brown added their public support for carbon pricing through the Put a Price on Carbon Statement, organized by the World Bank with support from several partners. “There has to be a price on carbon because there is a price on carbon: it’s the consequences to health and the economy and to our climate,” Governor Brown said.